Q: What do I do if the slats do not turn once fitted? A: If your slats do not turn once fitted; remove all of the slats, set the trucks on the head rail to a closed position and pull the cord which is made up of balls 3 times, it will make a cranking noise, once this is done your head rail will now be realigned, set the trucks to a 45degree angle and re - hang the slats one by one, going from left to right/right to left. Q: What do I do if I have slats left over? A: If you have slats left over, they are supplied as EXTRAS in case of any damages or markings in the fabric. How do I measure for my blinds? How do I fit my blinds? How can I choose the colour I want? 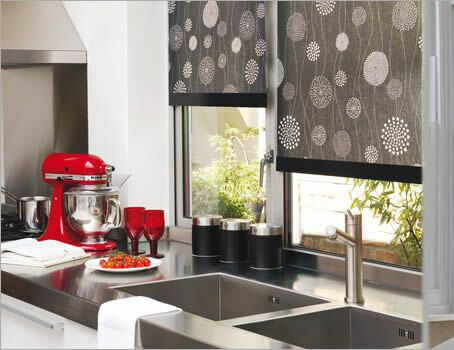 A: We offer free samples, here at Blinds4udirect.co.uk. Please just contact us to request these. A: Yes, VAT is included and delivery is priced at the end of the order. The total cost will appear at the end of the process before you make your payment. Can I return my blind if I dont like it? A: Unfortunatly you cannot as all our blinds are made to measure they are made to your requirements so they are a personalised item so can not be reused. What blinds should I have in my kitchen and bathroom? A: Take a look at our Easy Wipe range for practical, moisture resistant blinds. The louvres of my vertical blind are not in line with each other. What should I do? A: Just pull the control chain until the louvres are in the closed position, then gently pull the control chain so the louvres realign. You’re likely to feel some resistance until all of the louvres are back in place and this will make a loud cranking noise. But don’t worry this is perfectly normal. Can I buy a blind and cut it down to size? A: There is no need! All of our prices are for made to measure blinds so just tell us exactly what you need. I don’t understand the difference between exact and recess? A: This refers to whether you want your blind to fit inside or outside the recess. If you would like the blind to fit outside then select exact measurements. If you would like the blind to fit inside, select recess and we will make the necessary deductions are made. If I supply my own fabric will you make my blind for me? A: Unfortunately not. We use a high quality fabric for all verticals and rollers which have been tested to work perfectly. Choose from our wide range of plain and patterned fabrics. I bought a wooden blind off you a few years ago and I’m looking at buying another one. Will they match? A: No, unfortunately they may not match due to bass wood being a natural product therefore alterations to shading over time may occur. Also blinds you already have, due to years of being exposed to sunlight, may have changed colour slightly. I’m worried about my children near the blinds. A: All of our blinds are manufactured to meet the Child Safety regulations however it is important to follow simple steps to ensure your child’s safety. We would recommend not putting a child’s cot near the window or letting your child play near the chains or cords. What should I do with the blinds in my house that were made before the child safety regulations? A: It is very important that blinds in every home are child safe whether you have children or not. Take a look at our ‘Parts and Accessories’ section to purchase child safe products, so we can keep all children safe. My blind has been made wrong. What should I do? A: In the unlikely event that your blind has been made incorrectly, please take a picture of the blind with a tape measure showing the incorrect measurements and send to our customer service team who will resolve this issue straight away. A: With many years experience, unfortunately we have found repairing blinds more costly than buying a new one due to collections, damages and time. Are your vertical blinds stitched or glued? A: Our vertical blinds are stitched to enable them to have a longer life. How long will my blind take to be delivered? A: We quote around 7 – 10 working days on all blinds however this is a rough guide and sometimes they can be quicker, and very rarely a little longer. I need a blackout blind in my room. What is the best one to get? A: A blackout roller blind fitted on the outside of the recess is always the best blackout blind to minimise light flow into the room. How do I reverse the roll of my roller blind? A: Pop the control ends out, roll the blind all the way down and then carry on until it rolls up the other way.